October 3. An opening ceremony of a recently restored St. Innocent's House Museum took place in the village of Anga in the Kachug district in the Irkutsk region. St. Innocent (Veniaminov) was known as the Apostle of Siberia and America. TASS, a Russian news agency, reported that the restoration began in spring. Villagers helped in the repair work together with the building contractor. 3.5 million rubles were spent on the restoration. This money was raised from non-budgetary sources. This single-story house is part of a block of buildings of a cultural and educational center, which is under construction, in honor of St. Innocent in Anga. This construction is associated with the 220th anniversary of the saint’s birth, which will take place in 2017. 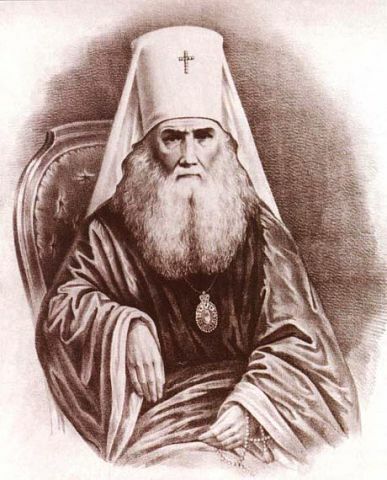 Bishop Innocent (1797-1868) took part in the building of churches and schools in both Russia and America, and also taught children reading and writing. Besides, he was the one who encouraged people to receive smallpox vaccine and left an enormous number of scientific works in various areas of expertise. The Russian Orthodox Church and the American Orthodox Church declared him a saint and the Apostle of Siberia and America in 1977.